Cutting edge denim and apparel imprint Edwin pride themselves on their constant innovation, their utilising of exclusive fabrics and fabrication, unique technology, hand wash processed and and continual enhancement in design and fit. Shown here is the Souvenir Shirt which is constructed from premium cotton and polyester. This shirt has custom graphics to the front left chest pocket and more prominently across the back. The Teide Beast Souvenir Shirt has a regular fit. 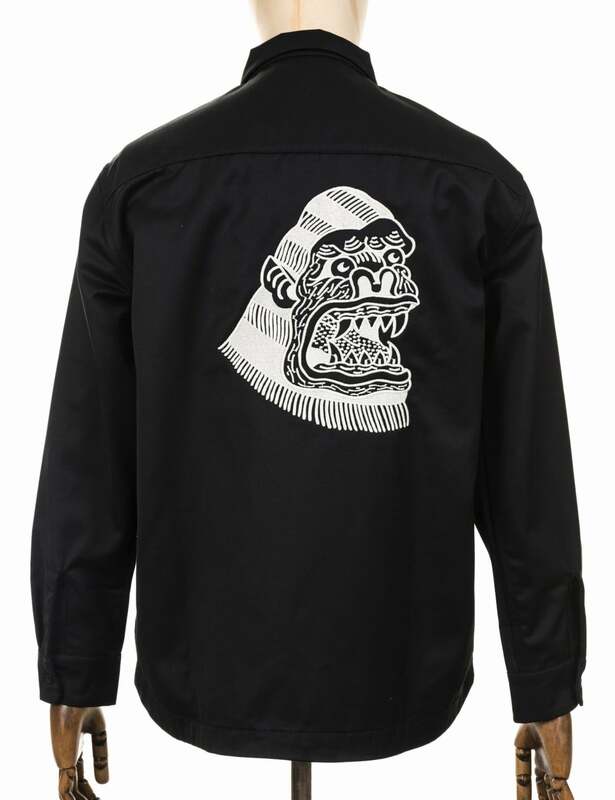 The EDWIN x Teide collaboration is based off of the flash sheets of Spanish born, London based tattoo artist Teide. His psychedelic style is heavily influenced by the traditional, Japanese and graphic styles of tattooing. This features an original artwork designed just for EDWIN. View the full range of Edwin clothing and accessories here.